Will your marketing be on trend – and hitting the spot – in 2017? We’re nearly at the end of January: so that’s just 11 more months to make your marketing count in 2017! There’s much uncertainty in the World economy, let alone here at home in the UK and Europe, so what marketing tools and techniques could help you address the challenges, opportunities and complexities you’ll undoubtedly be presented with this year? Soon, 89% of businesses will compete mainly on customer experience[i], and it can take 12 positive customer experiences to make up for one negative one[ii]. It’s more than just ‘service’: focus on enhancing the cumulative effect of your interactions with your customers over your entire relationship will be a key feature of 2017. Your customers and prospects want to understand where your company is ‘coming from’; they want to ‘know’ their contacts and feel they can trust your leadership too. Building your personal brand will become increasingly important through 2017. Nicky Bullard, Chairman and Chief Creative Officer at MRM Meteorite calls it: “The power of the tangible”. Mercedes Benz, Vangardist Magazine and Nandos (yes, the restaurant chain) have all won D&AD Awards for theirs. 66% of direct mail is opened, 82% of direct mail is read for a minute or more and 62% of respondents made a purchase[iii]. Can you afford to ignore that? It’s time to make your content more engaging, compelling and shareable than just the written word. Trending for 2017 will be video (including 360˚video), scripted animations, infographics and gamification, alongside the continued success of great images, polls, surveys and contests. Mobile video views grew six times faster[iv] than desktop views in 2015. The medium is emerging as a preferred way to research products and offers before making a purchase[v] and the trend for increased mobile video content and advertising will grow in 2017. Experiential marketing is “brand messaging that a consumer can touch, view, or otherwise feel within a physical space—i.e., an experience.” [vi]Experiential marketing allows your customers and prospects to truly experience your brand, whether in a virtual setting or in person. Experiential strategies and techniques are developing fast: 2017 will be about keeping informed and choosing the right ones for you. A key technique in experiential marketing, livestreaming emerged in 2016 and will be a significant trend in 2017. Think guided tours, product demos, staff introductions, live event streaming; you can even enable live comments and make it fully interactive. Let’s face it, most online content gets little or no traction: there’s just too much of it out there. Storytelling can help get yours noticed. Stories build connections; they can change attitudes, opinions and behaviours; they are easier to read and remember than dry ‘industry speak’. Personalisation is another key tactic in the fight for your customers’ attention. 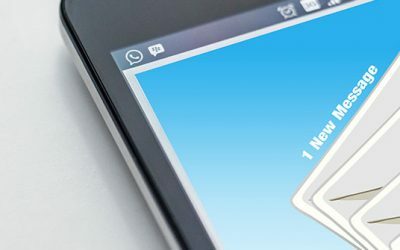 It’s not just adding a name to an email, it means adapting your content to reach different types of audience based on their preferences and habits; crafting the right messages to appeal to them personally. Native advertising is material in an online publication which resembles editorial content but is actually paid for and promotional. Blurring the lines between advertising and content, it’s a growing alternative to banner and interstitial advertising. Want to work smarter, not harder? Originally developed by software engineers, the agile process enables you to get the right things done at the right time. It’s all about adopting a collaborative approach within your organisation and with your clients… and it’s a key marketing trend for 2017. So… which of these is right for you? Which would you like to weave into your 2017 tactical programme? Ever considered outsourcing your marketing? The first step is to take our free, no-obligation, 30-minute marketing audit: together we can explore your pain-points and goals, and discuss how marketing can help you to grow.